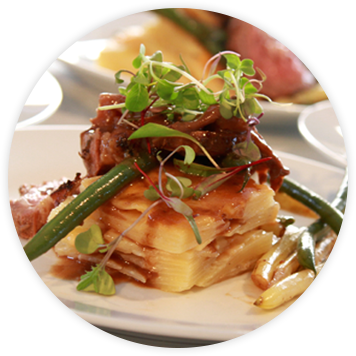 Seventh Heaven Event Catering provides custom catering solutions for the most individualized large- and small-scale settings in the Greater Toronto Area. The dynamic Spano brothers bring their passions together to own and operate Seventh Heaven Event Catering. The three brothers use their expertise in the kitchen, event management, and customer service to deliver unique and finely tailored catering experiences that are sure to impress. From intimate birthday dinner celebrations at home to high profile fairy tale weddings and 2,000-guest charity galas, Seventh Heaven has flexible catering packages to perfectly fit any occasion in the GTA. Our kitchen uses only the most refined ingredients, which are presented with sophisticated flair. Our experienced logistics team ensures that everything runs smoothly from start to finish. With the care and attention to detail of true artisans and a genuine love for the industry, our team provides creative menus to entertain the palate during stylish, impeccably executed events. 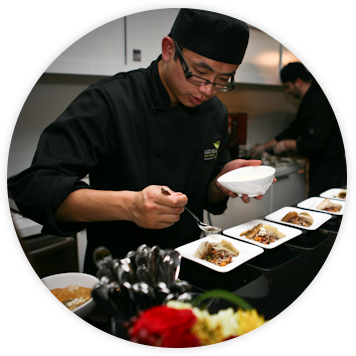 Our talented event catering consultants take clients through the process of event planning and menu creation catered specifically to Toronto events and tastes. Our first rate culinary team consistently provides both delectable and visually inspiring food from hors d’oeuvres and canapés to full course seated meals and tempting desserts. When it comes time for the big show, our professional event staff ensures that everything runs smoothly, that every morsel is in its place, and that every guest is treated with the utmost respect. We specialize in all types of event catering, including weddings, cocktail receptions, grand openings, product launches, milestone celebrations, charity galas, social events, corporate events, and everything in between. 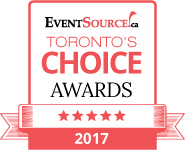 Our award-winning service has been recognized and honoured by our industry peers; but most importantly, our clients and their guests always leave their events with a smile on their faces and the satisfaction of a great meal and experience. On the Toronto scene, Seventh Heaven holds a well-deserved industry reputation as being among the event catering elite. 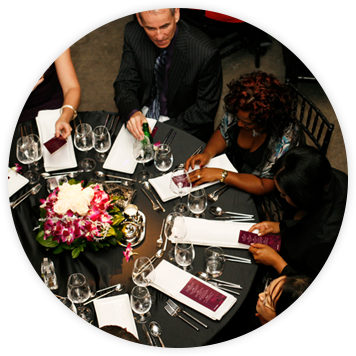 Many of Toronto’s high profile social calendar events are consistently awarded to Seventh Heaven and we relish in the execution of everything from large weddings to charity balls. Now, our Toronto catering team handles hundreds of events every year—that’s over 17,000 events and counting! With a collaborative event team that boasts over 145 years of collective experience, Seventh Heaven has worked at the Community Rocks biannual charity gala of 1400 guests, numerous landmark grand openings, and annual Toronto International Film Festival events to name a few. We are no stranger to other prestigious events, such as banquets on behalf of visiting international dignitaries, leaders, and corporations that merit the graceful performance Seventh Heaven specializes in. 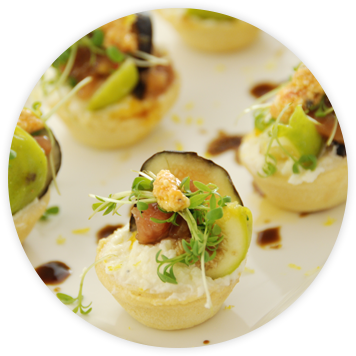 At Seventh Heaven, all of our catering events are delivered with fine-crafted elegance. 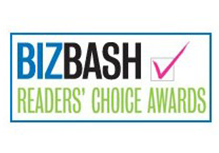 We won’t lie or be bashful about it; we’ve won our share of awards. However, the client’s happiness always comes first and any recognition we get afterward is, well, icing on the cake. 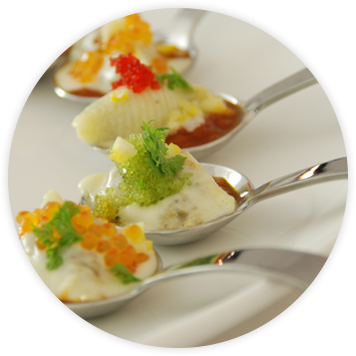 We are award-winning artists of fine food and exquisite food presentation. From the smallest and most intimate settings to the grandest of balls, we have provided our clients flawlessly catered events.